Interests: Artificial Neural networks, Evolutionary Algorithms, and their applications to power systems, Power Systems Deregulation, Transmission pricing, Grid Integration of Renewable energy sources. Hard work can change the luck rather luck can be achieved with hard work. AI Techniques in Electrical Engg. B. Durga Hari Kiran, M. Sailaja Kumari, "Operating Reserve Forecasting in a Wind Integrated Power System using Hybrid Support Vector Machine-Fuzzy Inference System", International Journal of Renewable Energy Research-IJRER, Volume 7,Issue 2, June 2017. B. Durga Hari Kiran, M. Sailaja Kumari, "Novel Hybrid Evolutionary Game Theory and Differential Evolution Solution to Generator Bidding Strategies with Unit Commitment Constraints in Energy and Ancillary Service Markets", International Journal of Renewable Energy Research-IJRER, Volume 7,Issue 1, pages 68-79, March 2017. B. Durga Hari Kiran, M. Sailaja Kumari, "Demand response and pumped hydro storage scheduling for balancing wind power uncertainties: A probabilistic unit commitment approach", International Journal of Electrical Power & Energy Systems, Elsevier, Volume 81, Pages 114-122, October 2016. Chandrasekhar Yammani, Sydulu Maheswarapu and Sailaja Kumari Matam, "Optimal placement and sizing of multi distributed generations using Shuffled-Bat Algorithm for radial distribution systems with future load enhancement", International Transactions on Electrical Energy Systems, John Wiley & Sons, Volume 26,Issue 2, pages 274"292, February 2016. D. Rakesh chandra, M. S. Kumari, M. Sydulu, F. Grimaccia, M. Mussetta, "Transient Stability Analysis of Power System with Grid Integration of Wind Generation", International review of Electrical Engineering, Praise Worthy Prize Publication, Italy, Vol. 10, Iss 3, pp. 442-448, July 2015. M. Murali, P.Sridivya, M.Sailaja Kumari, M.Sydulu, "Aumann Shapley Method for Congestion Cost Allocation in Multilateral Transactions Framework of Restructured Power Systems", Intelligent automation & Soft Computing, T&F, Vol.21, no.1, pp.107-121, January 2015. D. Rakesh chandra, Francesco Grimaccia, Sonia Leva, Marco Mussetta, M. Sailaja Kumari, M. Sydulu M, Zich Riccardo, "Adaptive wavelet neural network for wind speed and solar power forecasting for Italian data", Leonardo Electronic Journal of Practices and Technologies, Vol. 13. Iss 25, pp. 118-134, July-Dec 2014. D. Rakesh Chandra, M. Sailaja Kumari, M. Sydulu, "Comparison of ANN, AWNN for Wind Speed Forecasting Studies", International Electrical Engineering Journal (IEEJ), Vol. 5, No.2, pp. 1247-1254, Nov 2014. M. Murali, M.Sailaja Kumari, M.Sydulu, "Optimal Spot Pricing in Electricity Market with Inelastic Load using Constrained Bat Algorithm", International Journal of Electrical Power and Energy Systems, Elsevier, Vol. 62, pp. 897"911, November 2014. Chandrasekhar Yammani, Sydulu Maheswarapu and Sailaja Kumari Matam,"Optimal placement and sizing of DER"s with load Variations using Bat algorithm", Arabian Journal for Science and Engineering (AJSE)-Springer Publishers, Volume 39, Issue 6 , pp 4891-4899, June 2014. D. Rakesh Chandra, M. Sailaja Kumari, M. Sydulu, F. Grimaccia, M. Mussetta, "Adaptive Wavelet Neural Network Based Wind Speed Forecasting Studies", Journal of Electrical Engineering Technology (JEET),Vol. 9, No. 6, pp.1812-1821, March 2014. M. Murali, M.Sailaja Kumari, M.Sydulu, "Estimation of Locational Marginal Price in a Restructured Electricity Market with Different Loss Cases using Seed Genetic Algorithm", The Arabian Journal for Science and Engineering, Springer, Vol.39, no.2, pp.1089-1106, February 2014. M. Murali, M.Sailaja Kumari, M.Sydulu, "A Review of Transmission Pricing Methods in Restructured Electricity Market and Case Studies", International Electrical Engineering Journal, Vol.5, no.1, pp.1186-1197, January 2014. M. Murali, M.Sailaja Kumari, M.Sydulu, "A Genetic Algorithm based Security Constrained Economic Dispatch Approach for LMP Calculation", International Journal of Energy Science, Science and Engineering Publishing Company, Vol.3, no.2, pp.116-126, April 2013. M. Murali, B.Ramesh Kumar, M.Sailaja Kumari, M.Sydulu, "Hydrothermal Coordination for Short Range Fixed Head Stations using Fast Genetic Algorithm", Electrical and Computer Engineering: An International Journal, Wireilla Scientific Publications, AUSTRALIA, Vol.2, no.1, pp.1-15, March 2013. M. Murali, P.Sridivya, M.Sailaja Kumari, M.Sydulu, "Transmission Fixed Cost Allocation using Game Theory in Multilateral Transactions of Restructured Electricity Market", International Review of Electrical Engineering, Praise Worthy Prize Publication, Italy, Vol.8, no.1, pp.388-394, February 2013. M. Murali, M.Sailaja Kumari, M.Sydulu, "LMP Calculation with Distributed Loss using GA based DCOPF", Journal of Electrical Systems, Algeria, Vol.8, no.3, pp.292-307, September 2012. M. Murali, P.Sridivya, M.Sailaja Kumari, M.Sydulu, "Transmission Loss Cost Allocation Using Game Theory in Multilateral Framework", International Review of Electrical Engineering, Praise Worthy Prize Publication, Italy, Vol.7, no.4, pp.5196-5203, August 2012. Chandrasekhar Yammani, Sydulu Maheswarapu and Sailaja Kumari Matam, "Multiobjective Optimization for Optimal Placement and Size of DG using Shuffled Frog Leaping Algorithm", Energy Procedia, Elsevier, Volume 14, pp.990 " 995, March 2012. Chandrasekhar Yammani, Sydulu Maheswarapu and Sailaja Kumari Matam, "Optimal Placement of Multi DG units in Distribution System with Considering the DG Bus Available Limits", Energy & Power Journal, Volume2, Issue-1 pp.18-23, 2012. Chandrasekhar Yammani, Sydulu Maheswarapu and Sailaja Kumari Matam, "Enhancement of voltage profile and loss minimization in Distribution Systems using optimal placement and sizing of power system modeled DG units," Journal of Electrical Systems.Vol.7, Issue.4, pp-448-457, Dec 2011. M. Murali, M.Sailaja Kumari, M.Sydulu, "A Comparison of Fixed Cost Based Transmission Pricing Methods", Journal of Electrical and Electronic Engineering, Scientific and Academic Publishing House, USA, Vol.1, no.1, pp.33-41, October 2011. M. Sailaja Kumari, Sydulu Maheswarapu, "Enhanced Genetic Algorithm based computation technique for multi-objective Optimal Power Flow solution", International Journal of Electrical Power & Energy Systems, Elsevier, Vol 32, Iss 6, pp 736-742, July 2010. S. Surender reddy, M.Sailaja Kumari, M.Sydulu, "Congestion Management in Deregulated Power System by Optimal Choice and Allocation of FACTS Controllers Using Multi-Objective Genetic Algorithm", Journal of Electrical Engineering & Technology (JEET), Vol 4, No 4, pp. 467-475, Dec 2009. S.Surender Reddy, P. Praveen, M.Sailaja Kumari, "Micro Genetic Algorithm based Optimal Power Dispatch in Multinode Electricity Market", International Journal of Recent Trends in Engineering, Vol 2, No. 5, 298-302, Nov 2009. 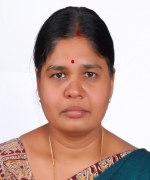 M. Sailaja Kumari, M.Sydulu, "A Fast Computational Genetic Algorithm for Economic Load Dispatch, International Journal of Recent Trends in Engineering", Vol 1, No 1, pp. 349- 356, May 2009. M. Sailaja Kumari, M.Sydulu, "An Improved Evolutionary Computation Technique for Optimal Power Flow Solution", International Journal of Innovations in Energy Systems and Power, Vol 3, No 1, pp. 261-268, April 2008. Transmission Pricing in pool and transaction based power markets using Game theory and Heuristic techniques, Murali Matcha, June 2015. Multi-Objective Optimal Placement and Sizing of Distributed Generators using Meta-Heuristic Techniques , Chandrasekhar Yammani, July 2015 (Co Supervisor). Wind Integration Studies in Power Systems: Forecasting, Stability and Load Management Issues, D. Rakesh Chandra, August 2016. Operating Reserve and Frequency Regulation Ancillary Services Management in Restructured Electricity Markets, B. Durga Harikiran, September 2017. 16. National Workshop on 'Intelligent FACTS Controllers', Sponsored by TEQIP M.Sailaja Kumari June 2-4th, 2008. An 8-dav Workshop for Facultv on "lnduction Program for First Year B.Tech. students"
18. PMBOK 4th Edition workshop PMIPCC conducted at NIT Warangal 22/12/12 & 30/12/12 for 35hrs. Md. Sajid Alam, Durga Hari Kiran B and Sailaja Kumari M, "Priority list and particle swarm optimization based unit commitment of thermal units including renewable uncertainties", 2016 IEEE International Conference on Power System Technology (POWERCON), Wollongong, NSW, 28 Sept.-1 Oct. 2016. Md. Sajid Alam and Sailaja Kumari M, "Unit commitment of thermal units in integration with wind and solar energy considering ancillary service management using priority list(IC) based genetic algorithm ", 2016 International Conference on Innovation and Challenges in Cyber Security (ICICCS-INBUSH), Noida, 3-5 Feb. 2016. Durga Hari Kiran B, P. S. Bhargav and Sailaja Kumari M, "Automatic Generation Control in De-centralized Electricity market using Adaptive Neuro-Fuzzy Inference System (ANFIS)", 2015 Annual IEEE India Conference (INDICON-2015), New Delhi, 17-20 Dec. 2015. Chandrasekhar Yammani, Sydulu Maheswarapu and Sailaja Kumari Matam, "Optimal placement and sizing of DGs at various load conditions using Shuffled Bat algorithm", IEEE Power and Energy Conference at Illinois (PECI)- Illinois, USA, pp 1-5, 20-21 Feb. 2015. D. Rakesh Chandra, M. S. Kumari, M. Sydulu, F. Grimaccia, M. Mussetta, S. Leva, M.Q. Duong, "Impact of SCIG, DFIG Wind Power Plant on IEEE 14 Bus System with Small Signal Stability Assessment", NPSC-14(IEEE conference), IIT Guwahati, December 18-20, 2014. M. Murali, M.Sailaja Kumari, M.Sydulu, "Transmission Embedded Cost Allocation using Proportional Nucleolus based Game Theoretic Approach in a Restructured Power Market", NPSC, IIT GUWAHATI, (IEEE conference), December 18-20, 2014. M. Murali, M.Sailaja Kumari, M.Sydulu, "Locational Marginal Pricing in Single Auction Model of Restructured Power System using Bat Algorithm", NPSC, IIT GUWAHATI, (IEEE conference), December 18-20, 2014. Rakesh Chandra, M. S. Kumari, M. Sydulu,F. Grimaccia, M. Mussetta, S. Leva, M.Q. Duong, "Small Signal Stability of Power System with SCIG,DFIG Wind Turbines", 2014 Annual IEEE India Conference (INDICON), University of Pune, December 11-13, 2014. B. Durga Hari Kiran and M. Sailaja Kumari, "Optimal generation scheduling with operating reserves including wind uncertainties", 2014 International Conference on Smart Electric Grid (ISEG), Guntur, 19-20 Sept. 2014. Chandrasekhar Yammani, Sydulu Maheswarapu and Sailaja Kumari Matam, "Optimal Placement and Sizing of Multi Distributed Generations with Renewable Bus Available limits using Shuffled Bat algorithm", Electrical and Computer Engineering (CCECE), 2014 IEEE 27th Canadian Conference, Toronto, Canada, 4-7th May-2014. M.Murali, M.Sailaja Kumari, M.Sydulu, "An Overview of Transmission Pricing Methods in a Pool based Power Market", 1st National Power & Energy System Conference (NPESC-2014), Kamala Nehru Institute of Technology, Sultanpur, Uttar Pradesh " 228118, April 25-26, 2014. M.Murali P.Sridivya, M.Sailaja Kumari, M.Sydulu, "Distribution of Loss Cost using Proportional Nucleolus Method in Competitive Power Markets", International Conference on Energy Efficient Technologies for Sustainability, ICEETS, (IEEE conference), St. Xavier"s Catholic College of Engineering, April 10-12, 2013. Chandrasekhar Yammani, Sydulu Maheswarapu and Sailaja Kumari Matam, "Optimal Placement and Sizing of DER"s with Load Models using Bat algorithm", IEEE International Conference on Circuits, Power and Computing Technologies (ICCPCT-2013), pp 394-399, Tamilnadu, 20-21 March 2013. D. Rakesh Chandra, M. S. Kumari, M. Sydulu, "A Detailed literature review of wind forecasting", IEEE International conference on power and Energy and Control (ICPEC), Tamilnadu, Feb 6-8th 2013. Chandrasekhar Yammani, Sydulu Maheswarapu and Sailaja Kumari Matam, "Optimal Placement and Sizing of DER"s with %Load variations using Shuffled Frog Leap Algorithm", Paper published proceedings in National Power System Conference (NPSC-12), IIT(BHU),Varanasi, India, December 12-14, 2012. M. Murali, M.Sailaja Kumari, M.Sydulu, "Effect of Congestion in Transmission Pricing for a Pool based Power Market considering Losses", NPSC-12, (IEEE conference), IIT BHU, Varanasi, India, December 12-14, 2012. P. Sridivya, M.Murali, M.Sailaja Kumari, M.Sydulu, "Congestion Cost Allocation Using Game Theory in Multilateral Framework", Power and Energy Conference, PECON, (IEEE conference), Malaysia, December 2-5, 2012. P. Sridivya, M.Murali, M.Sailaja Kumari, M.Sydulu, "Embedded Cost Allocation Methods using Game Theory", International conference on Advances in Power Conversion and Energy Technologies, APCET, (IEEE conference), L.B.R.C.E, Vijayawada, August 2-4, 2012. B. Ramesh Kumar, M.Murali, M.Sailaja Kumari, M.Sydulu, "Short-range Fixed head Hydrothermal Scheduling using Fast Genetic Algorithm", 7th IEEE conference on Industrial electronics and applications, Singapore, July 18-20, 2012. M. Murali, M.Sailaja Kumari, M.Sydulu, "LMP based Electricity Market Simulation using Genetic Algorithm", 7th IEEE conference on Industrial electronics and applications, Singapore, July 18-20, 2012. M. Murali, M.Sailaja Kumari, M.Sydulu, "A Comparison of Embedded Cost Based Transmission Pricing Methods", International Conference on Energy, Automation and Signal, (IEEE conference), Siksha O Anusandhan University, Bhubaneswar, December 28-30, 2011. Chandrasekhar Yammani, Sydulu Maheswarapu, Sailaja Kumari Matam and S Naresh "Optimal Placement and Sizing of the DER in Distribution systems using shuffled frog leap algorithm", IEEE conference on Recent Advances in Intelligent Computational Systems (RAICS), Trivandrum, Sep 2011. Yammani Chandrashekar, Mithun Bhaskar, Sailaja Kumari. M and Sydulu Maheswarapu, "A Hybrid PSO-Shuffled Frog Leap Algorithm for Economic Load Dispatch with Network Losses, National Conference on Machines and Power System, Feb 2011. Naresh.B, Sailaja Kumari.M, Sydulu.M, "Transmission Cost Allocation using Power Flow Tracing And Genetic Algorithm", IEEE international conference on Intelligent systems, July 7-9th, 2010. M.Sailaja Kumari, M.Sydulu, "A multi-objective Evolutionary Algorithm for Optimal Power Flow solution", IEEE INDICON 2007, Sep. 7-9th, 2007. M.Sailaja Kumari,M.Sydulu, "Comparison of Genetic Algorithms and Particle Swarm Optimization for Optimal Power flow Including FACTS devices", IEEE Powertech 2007, Lausanne, Switzerland, July 1-5th, 2007. M.Sailaja Kumari, M.Sydulu, "Improved Particle Swarm algorithm applied to Optimal Reactive Power Control", IEEE ICIT,Bombay, Dec 15-17th , 2006. M.Sailaja Kumari, M.Sydulu, "Modeling of Thyristor Controlled series compensator in Fast Decoupled Load Flow solution for Power Flow Control", IEEE PEcon 2006, First International Power and Energy Conference, Malaysia, 28-29th Nov, 2006. M.Sailaja Kumari, M.Sydulu, "A Fast and Reliable approach for Q-adjustments in Fast Decoupled Load Flow Model", 9th international conference on Probabilistic methods applied to Power Systems, Stockholm, Sweden, June 4-5th, 2006. M.Sailaja kumari, M.Sydulu, "A Novel Load Flow Approach for Voltage Stability Index Calculation and adjustment of Static VAR Compensator Parameters", IEEE Power India Conference held at New Delhi, April 10-12th, 2006. Responsible for "Reactive Power Compensating Equipment" worth Rs.6 lakhs purchased under TEQIP. RSM grant worth 3.5 lakh for project titled "An energy efficient solar powered LED street lighting system." Won the POSOCO 2017 best PhD thesis award for the thesis guided. Title of the thesis is "Wind Integration studies in power systems: Forecasting , Stability and Load management issues" by Mr. D. Rakesh Chandra. Won the ISTE L&T best M.Tech thesis award in Electrical and Electronics Engineering for the year 2012, for the M.Tech thesis guided. The title of the thesis is 'Transmission cost allocation using game theory' by Ms.P.Sridivya, M.Tech 2010-2012, Roll no.102122, PSE. Won the best paper award for the paper "Embedded cost allocation methods using Game theory", in the IEEE international conference on Advances in Power conversion and Energy technologies, APCET, August 2-4th, 2012. Awarded 'Distinguished Woman in Engineering (Specialization- Electrical Engineering)' for the year 2018 by Venus International Foundation. Associate Dean (Administration) & Deputy Registrar (Administration) from October, 2012 to April 2014. Faculty advisor, IEEE Women in Engineering Student Branch affinity group of NITW since 2008. Faculty advisor of Electrical Engineering association, NITW during 2009-10, 20010-11, 2011-12. Central Counseling Board member for AIEEE admissions during 2009-2010. Lab Incharge, Power Systems Lab. Worked as Warden, NITW Ladies Hostel for 3 years. Worked as Timetable in-charge for two years at Department level.